My experience was as a corporate sponsor who got the opportunity to spend time at Ullswater working with a group of young people from Leeds. The few days that I spent there had a profound effect on me and the way in which I value others and the environment around me. 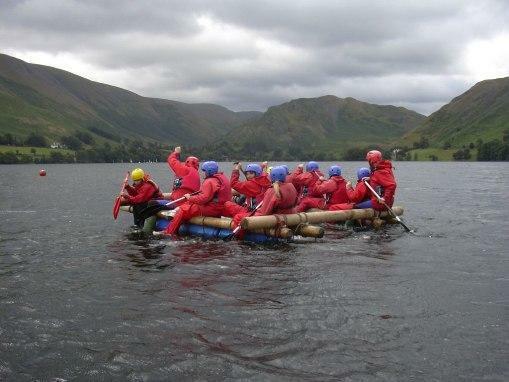 The image shows me helping my team to paddle across Ullswater on the raft that we had built. The young people's attitudes towards each other and working with each other was transformed over the week and what I witnessed has changed the way that I work with young people in the businesses that I manage. I took part in fundraising events as far apart as Loch Eil and London and thoroughly enjoyed all of my contact with The Trust.